3 BEDROOMS/3 BATHROOMS + 2 BEDROOMS/1 BATHROOM – SLEEPS 10. 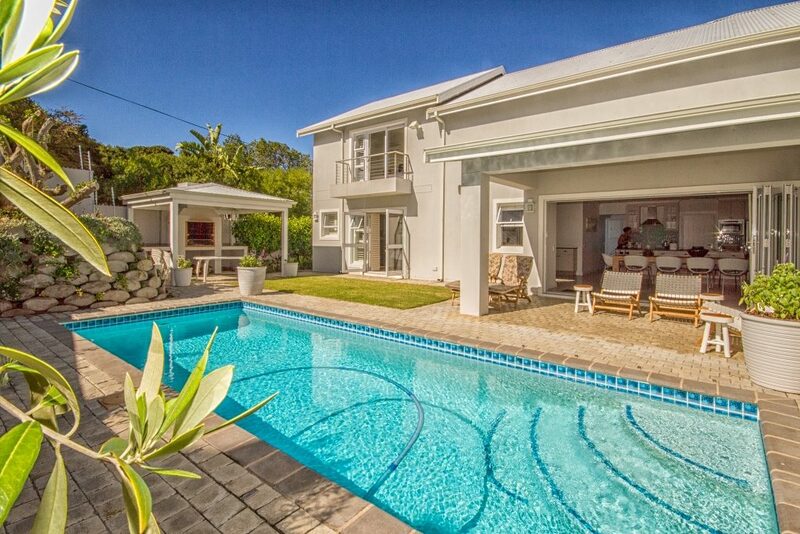 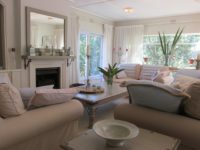 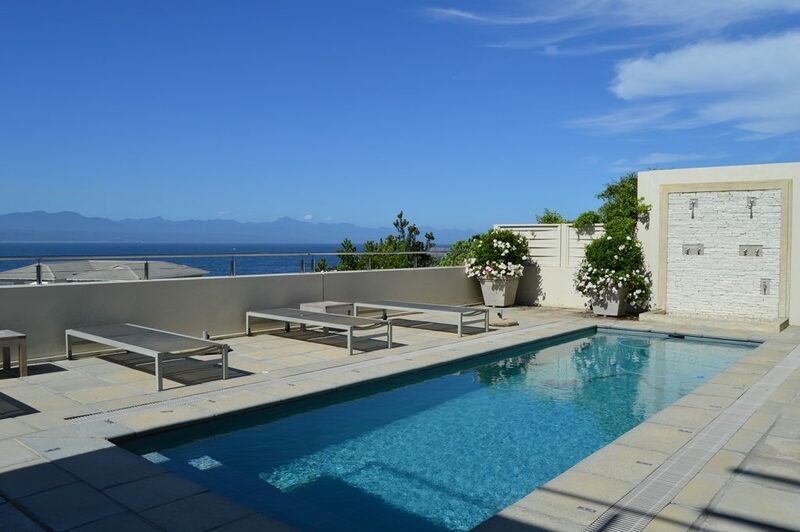 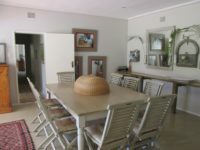 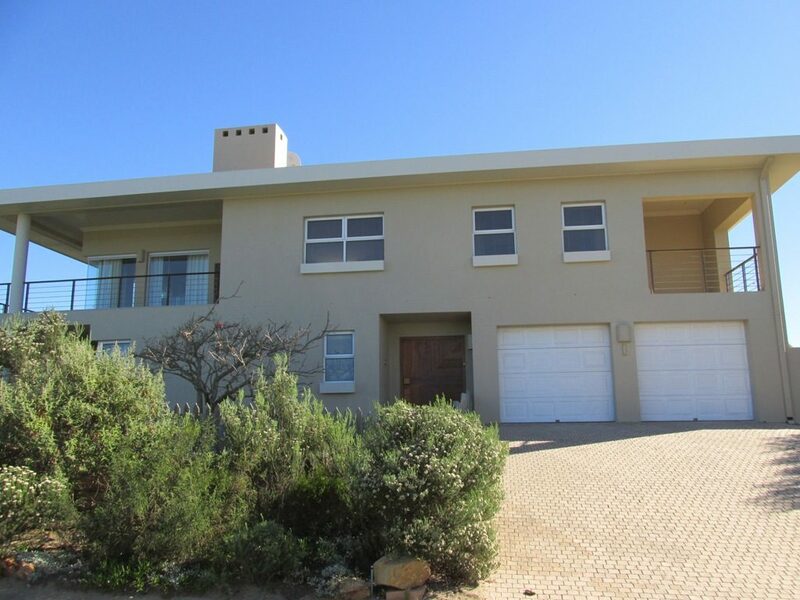 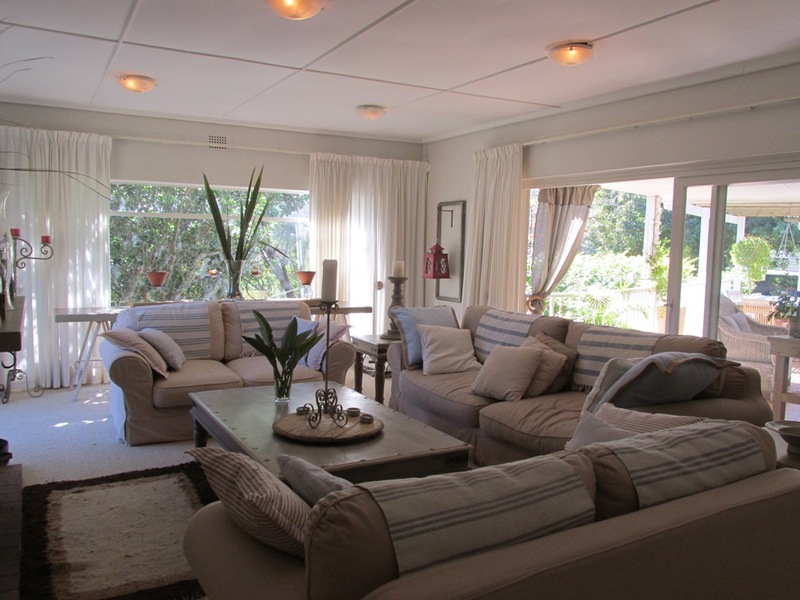 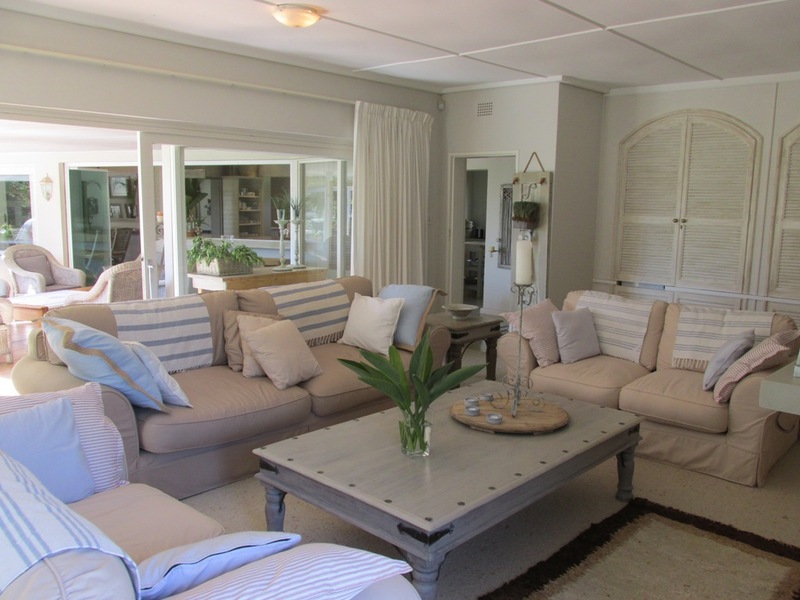 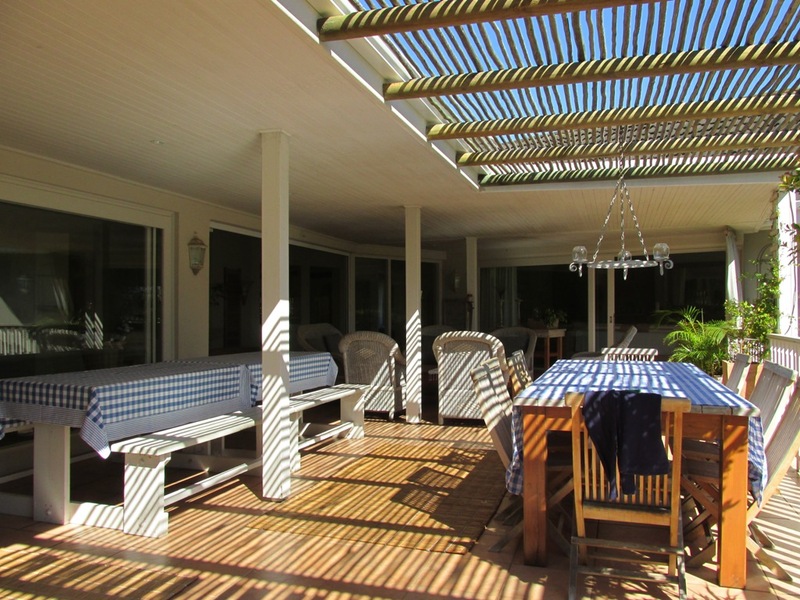 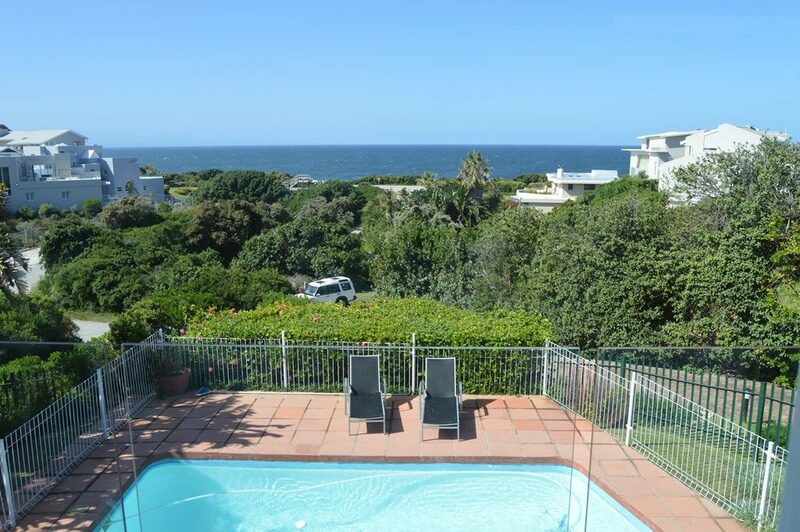 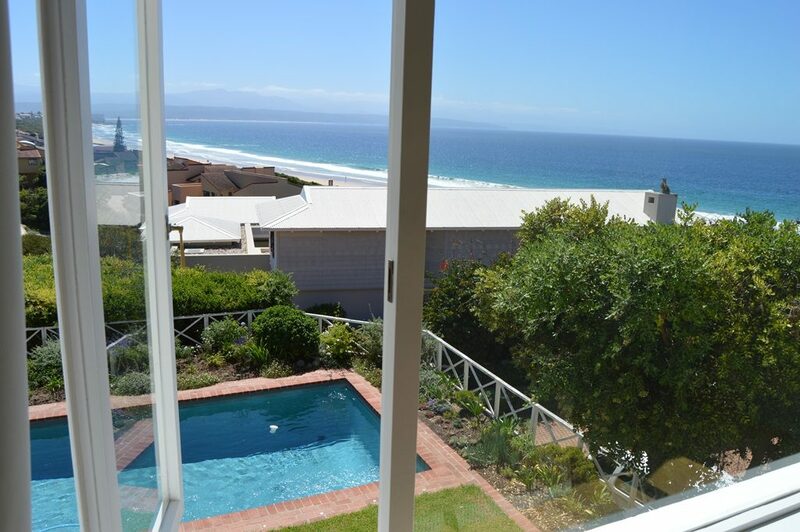 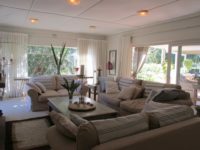 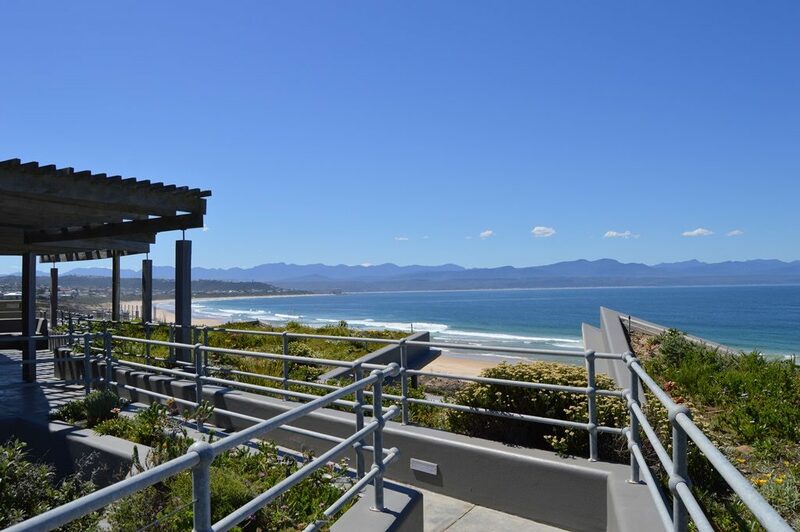 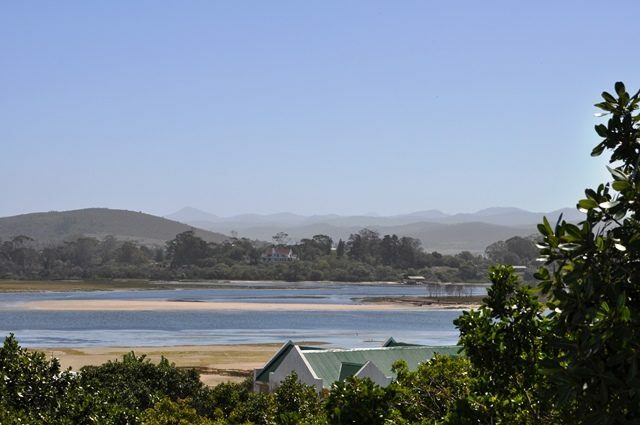 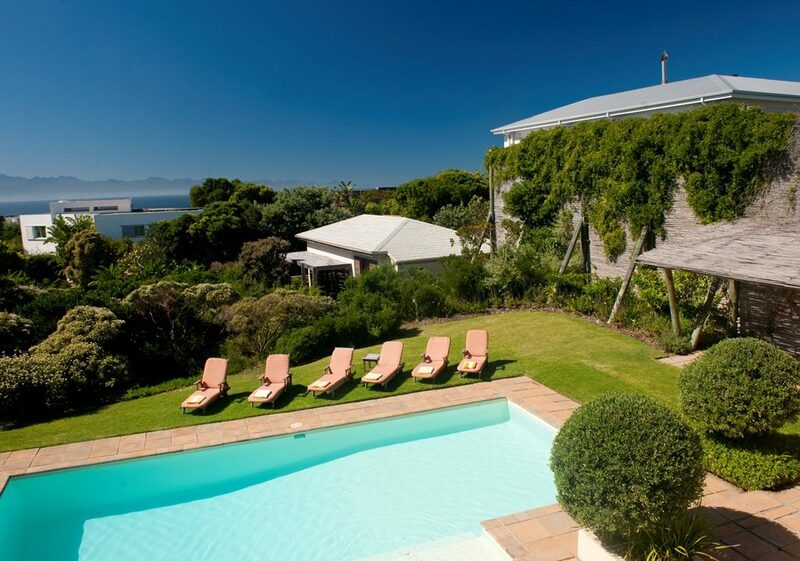 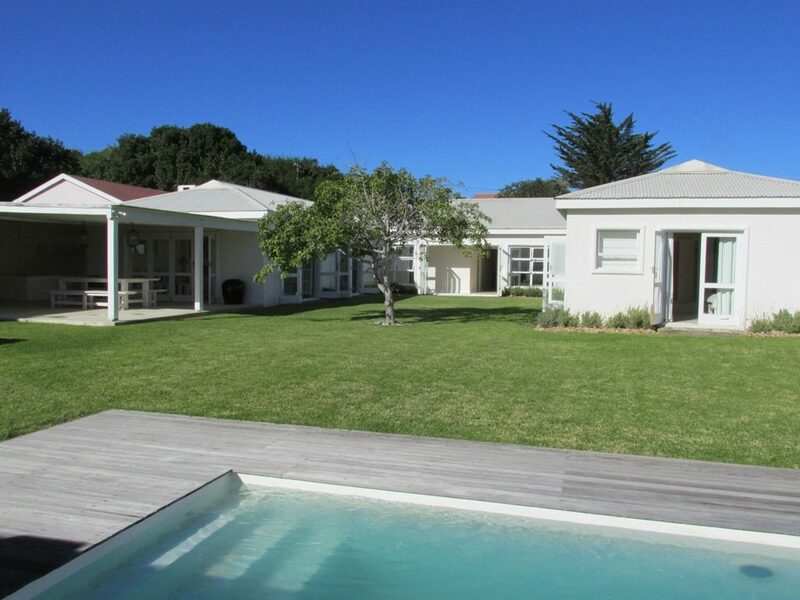 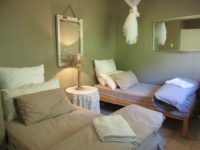 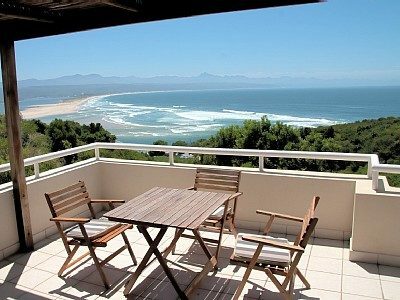 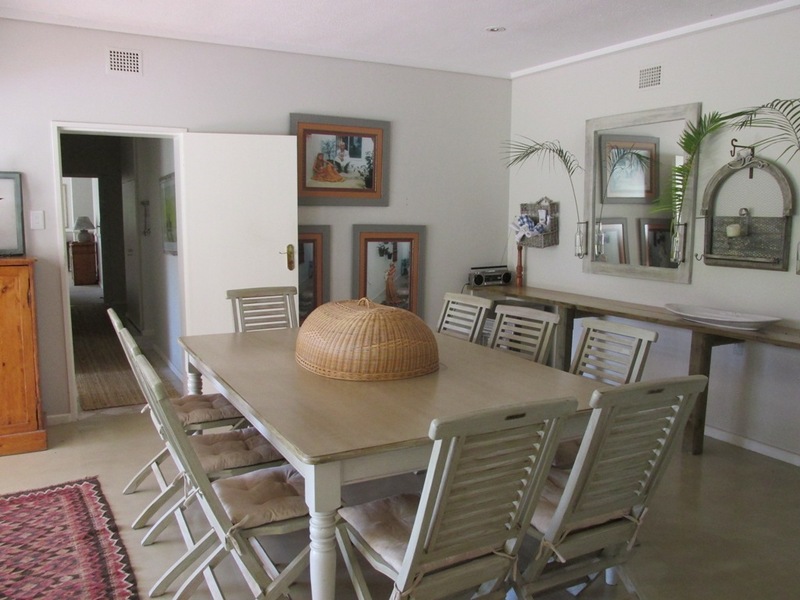 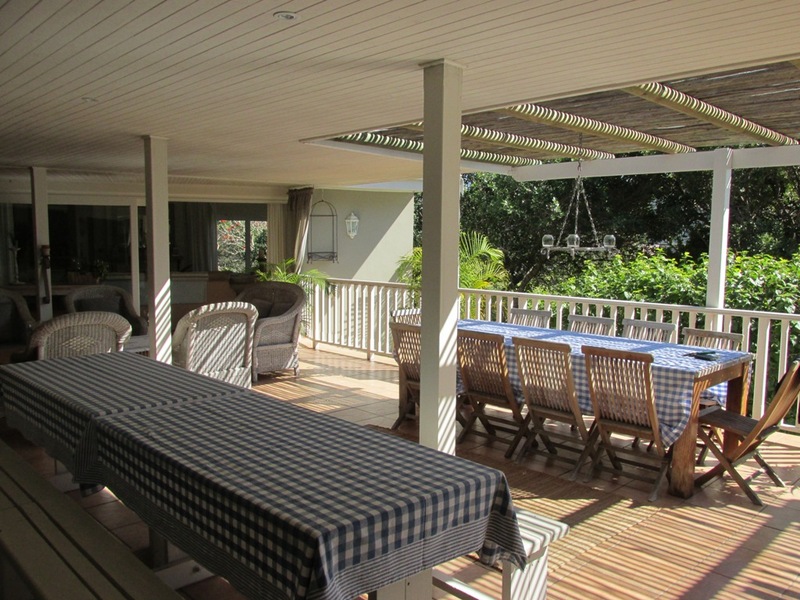 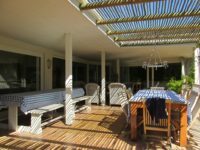 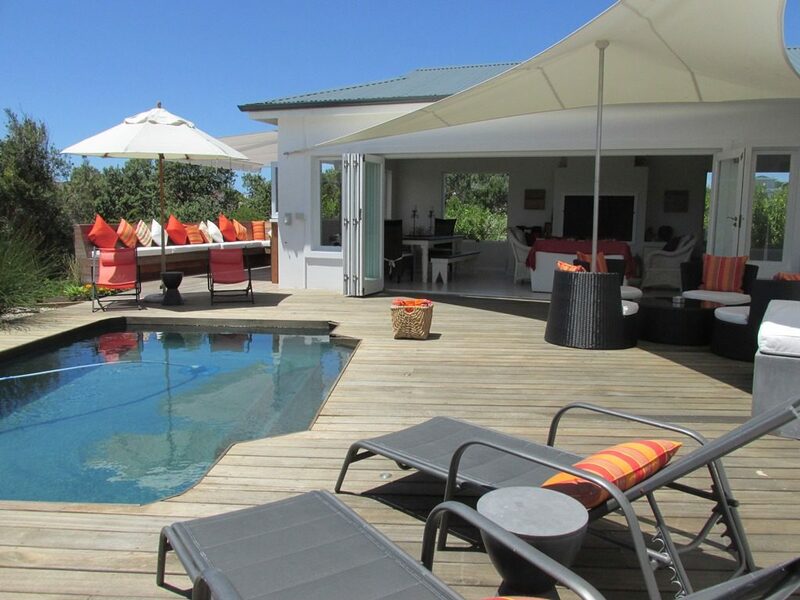 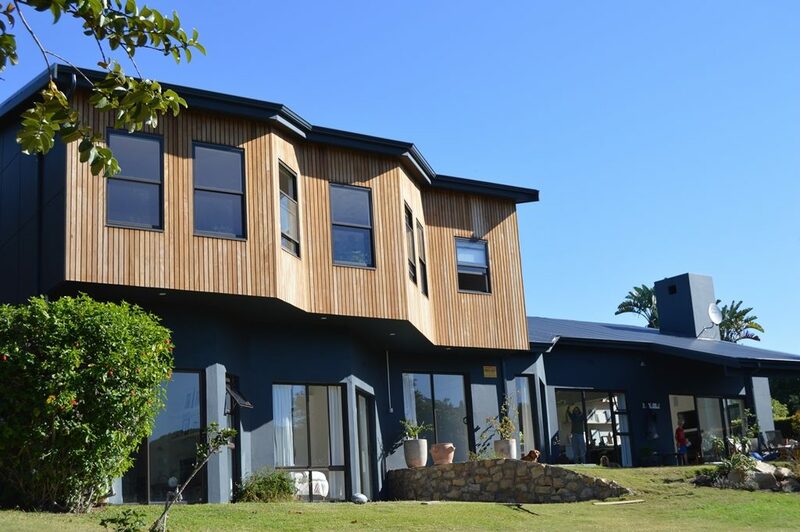 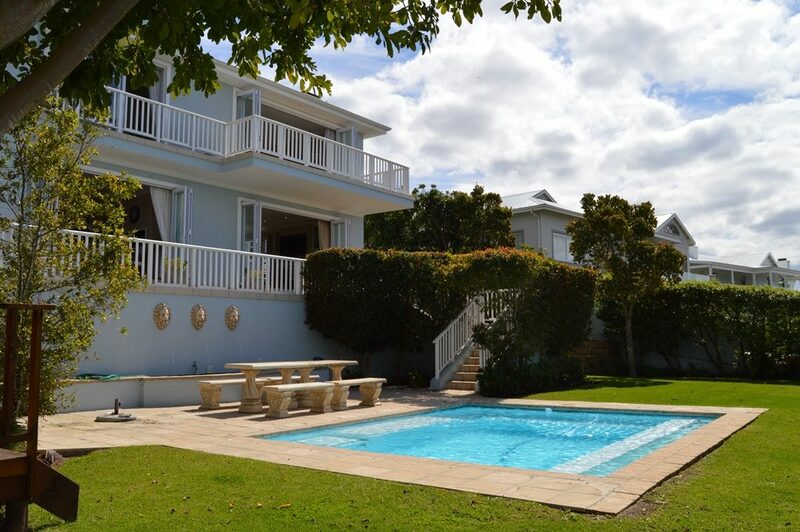 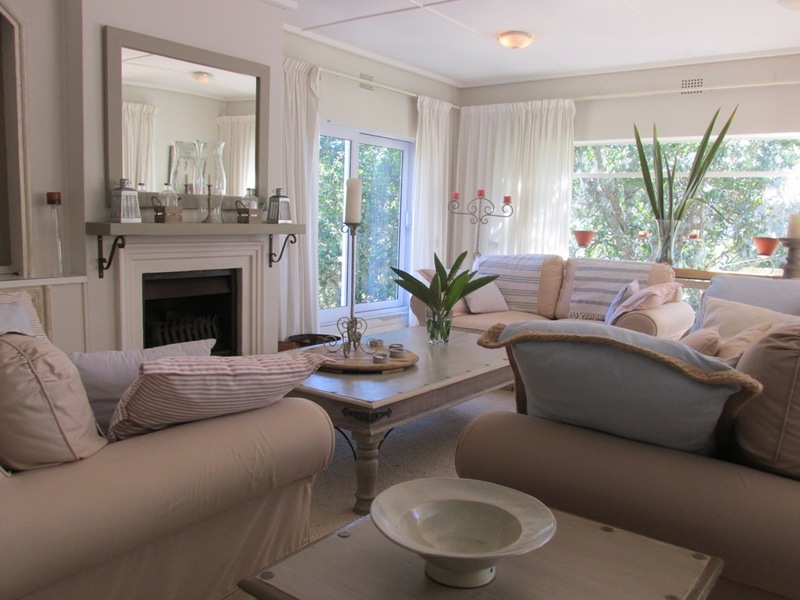 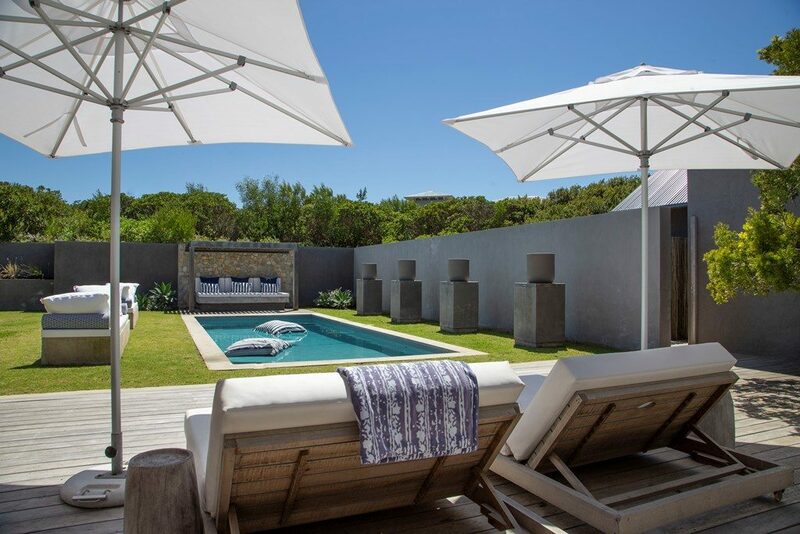 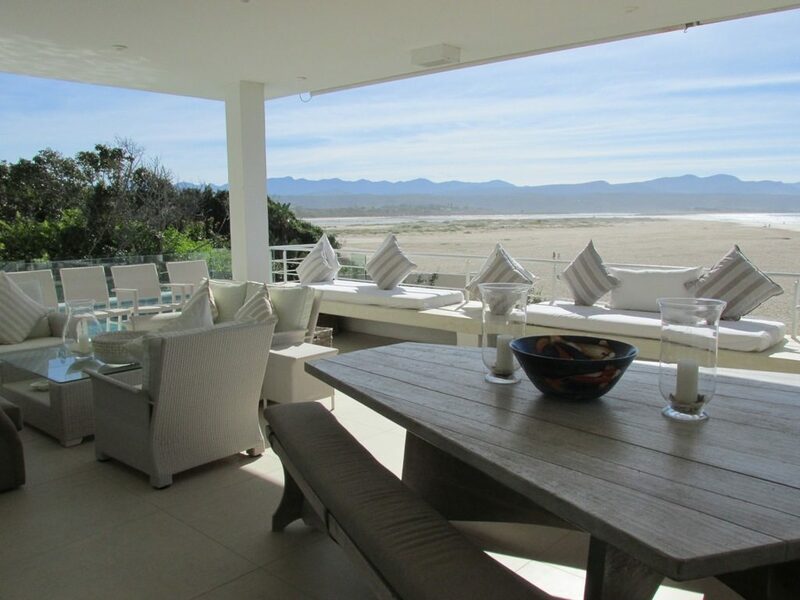 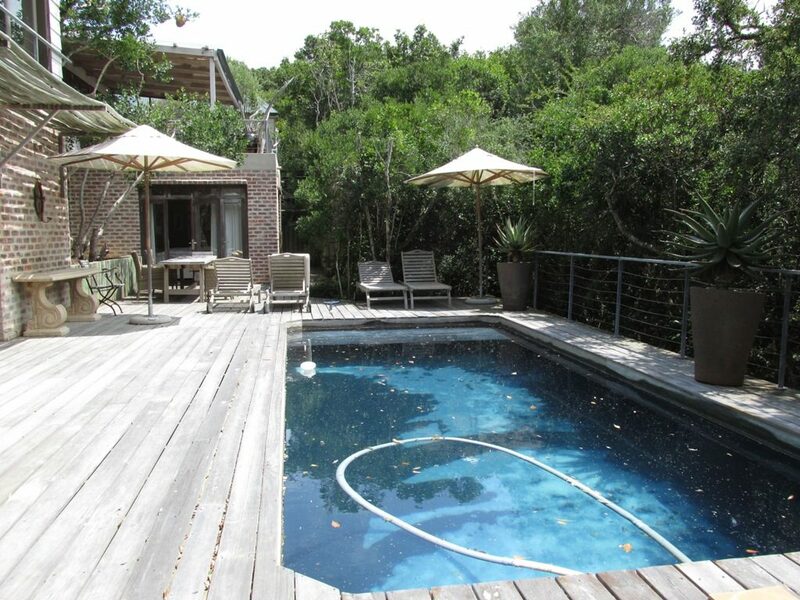 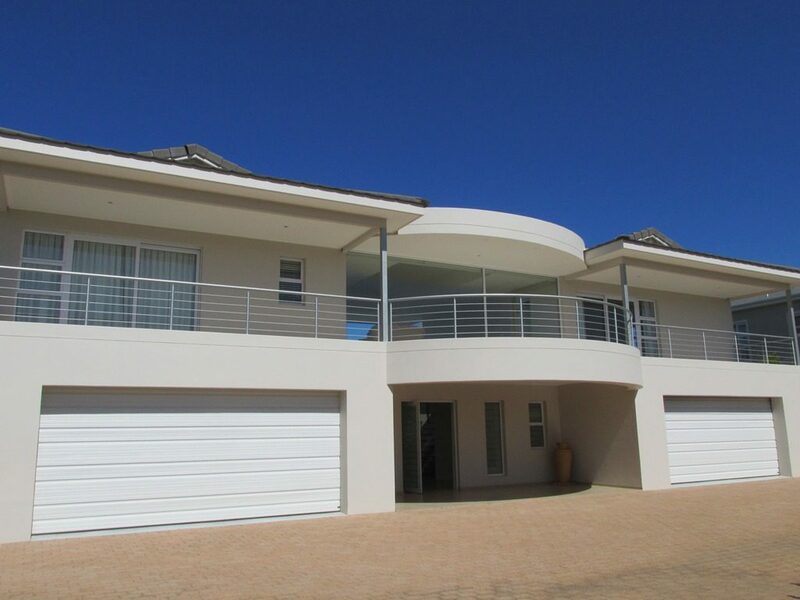 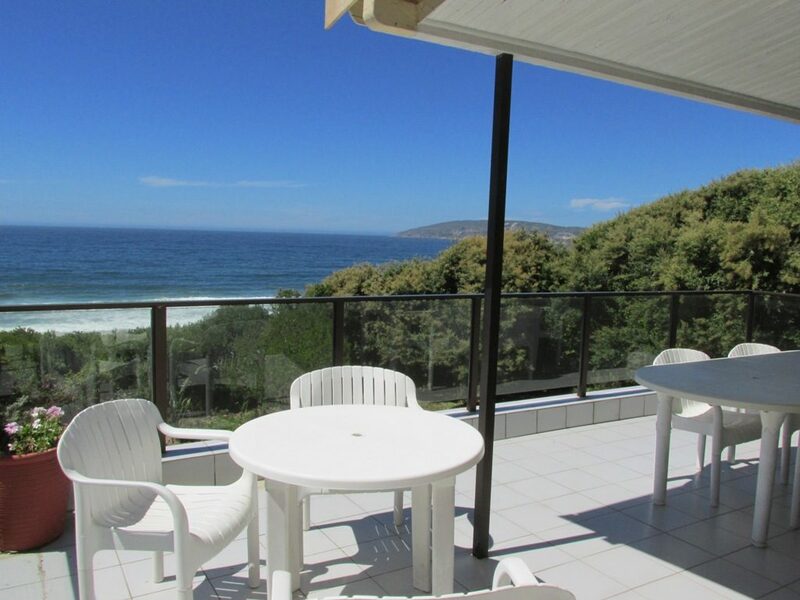 Fully equipped self-catering holiday home with spacious living and entertainment areas within walking distance to Central and Robberg beaches. 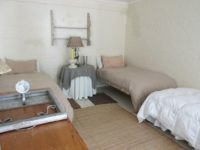 Downstairs: With their own entrance, there are two bedrooms downstairs (bedrooms 4 and 5 – suited to teens). 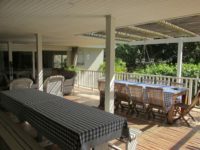 Adjacent to this are the stairs leading to the spacious covered patio. 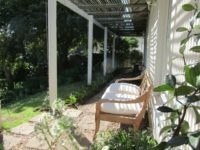 The patio has a furnished seating area, two outdoor dining tables – one bench style and another table with wooden chairs both seating 10. 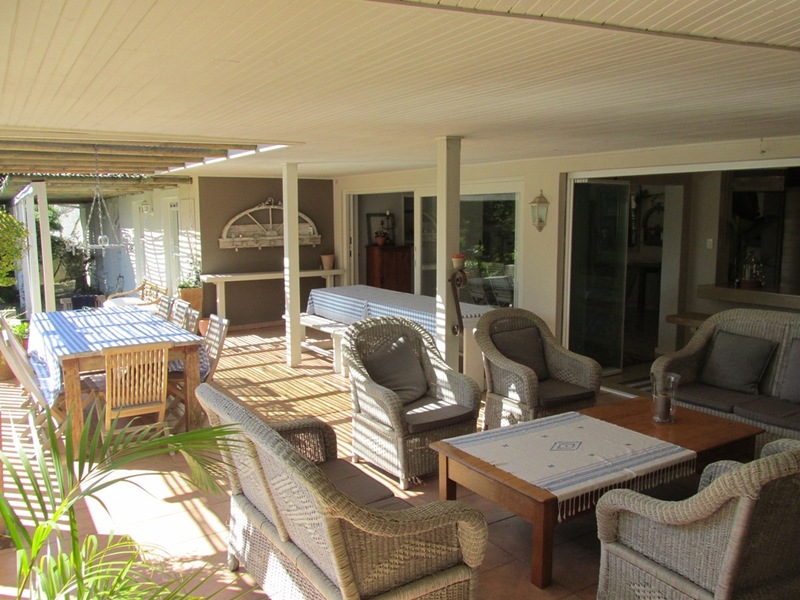 There is an indoor dining area seating 10 with large glass doors opening up onto the patio. 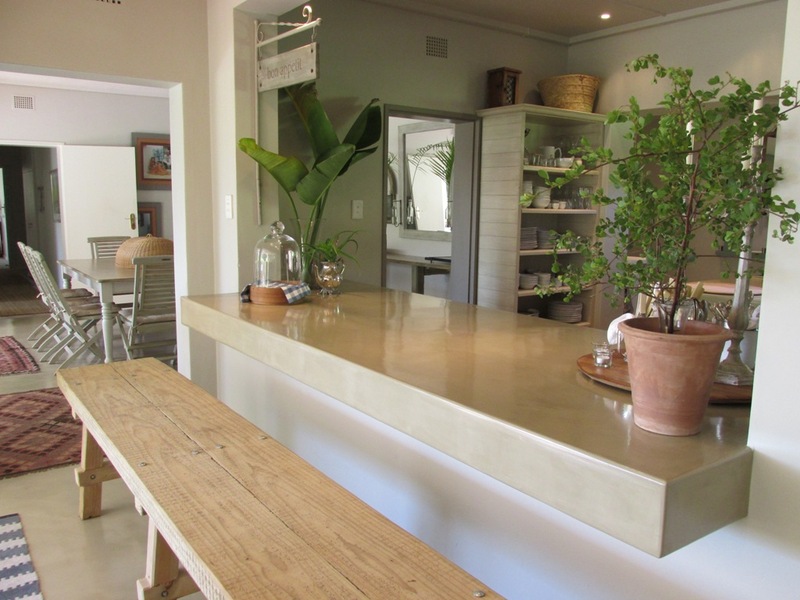 Well equipped modern kitchen – with frameless glass stacking doors look out over the patio area. Separate scullery wish dishwasher. 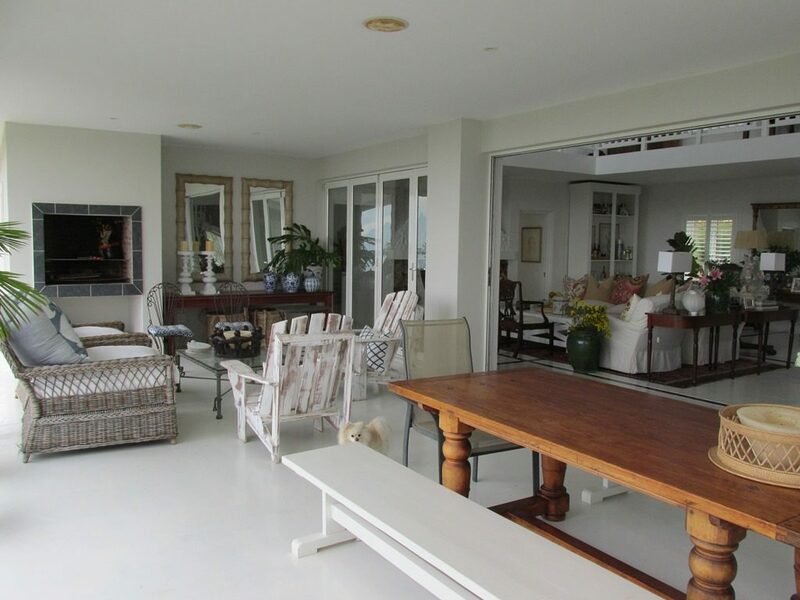 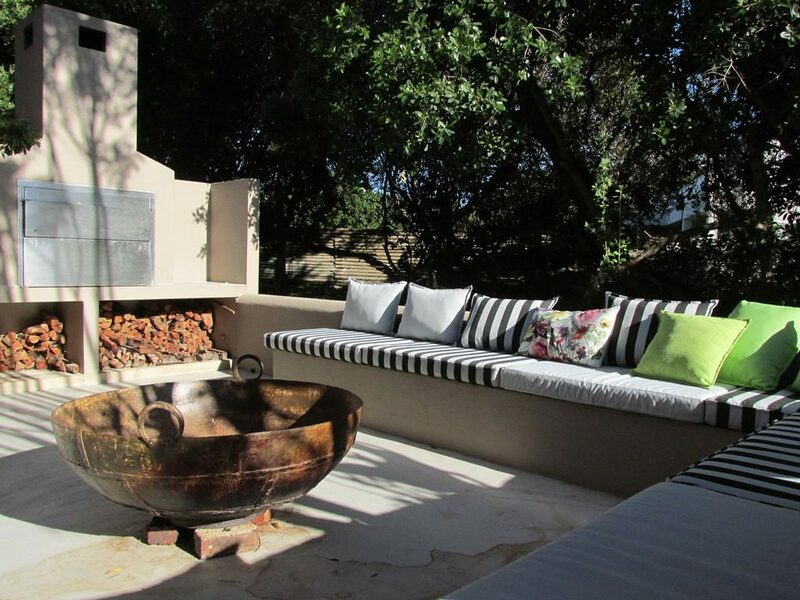 There is one formal sitting room with large sofas – with large glass doors opening up onto the outdoor patio. 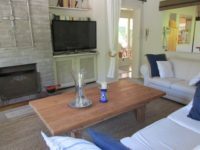 Separate TV room (with large flatscreen TV). 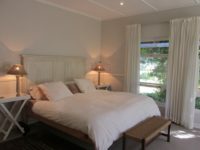 Bedrooms 1-3 lead off from the dining area. 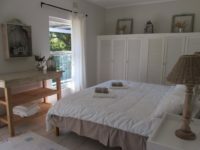 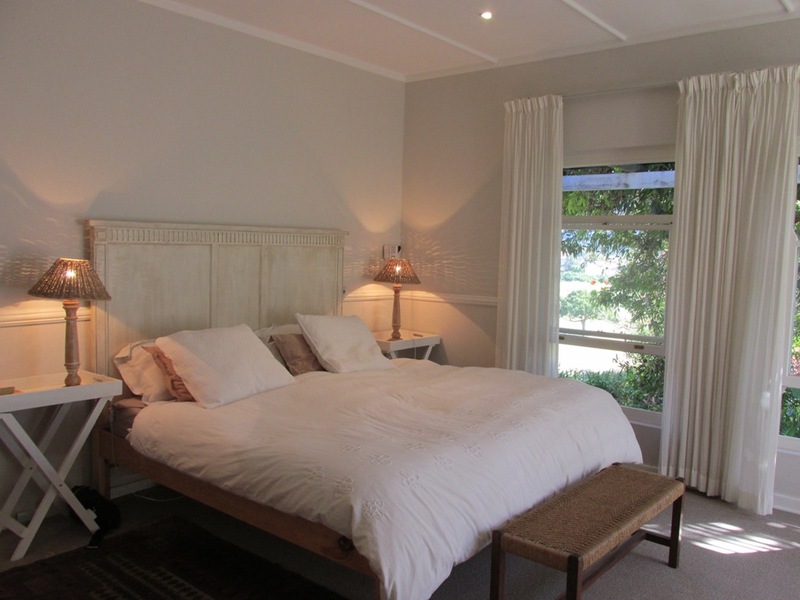 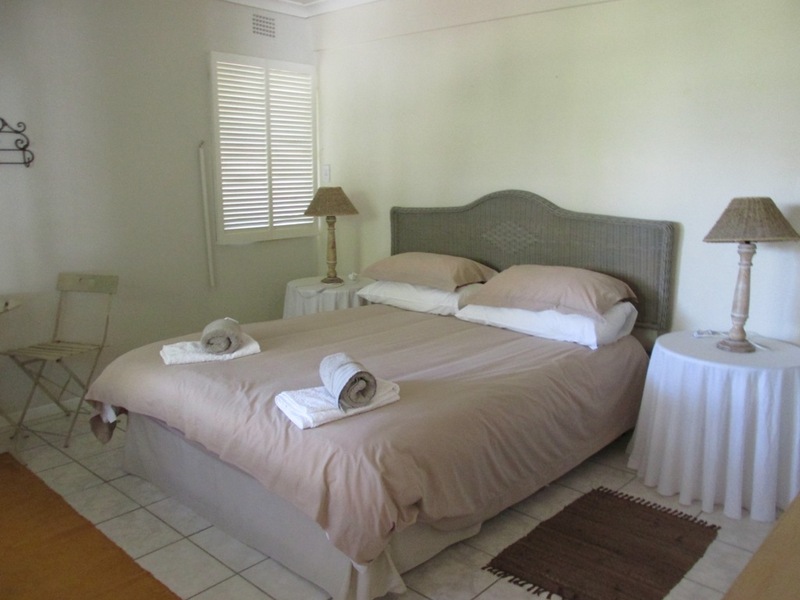 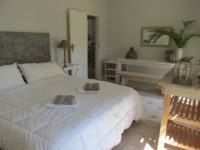 Main Bedroom: King bed with ceiling fan & 2 en-suite bathrooms: One with Toilet & Shower & another with a Toilet & Bath. 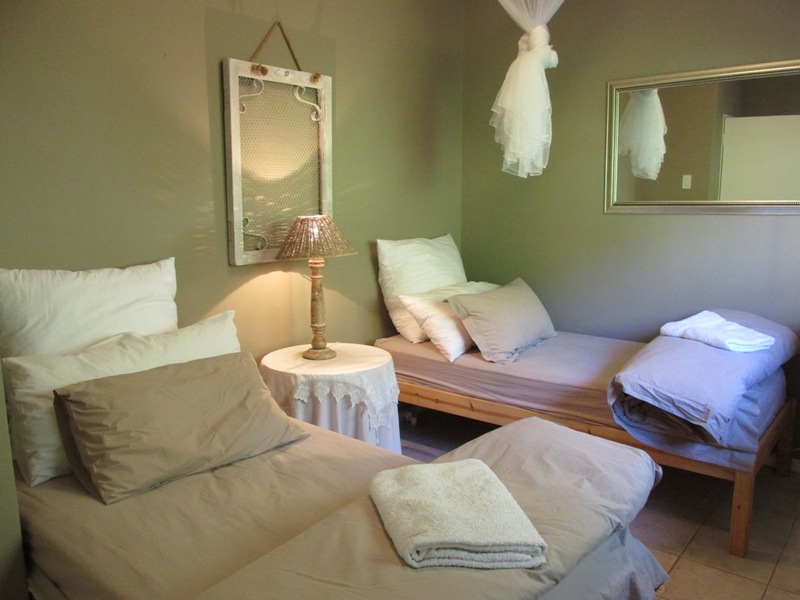 Bathroom (for Bedrooms 4 & 5) to share: Toilet, Bath and Shower. 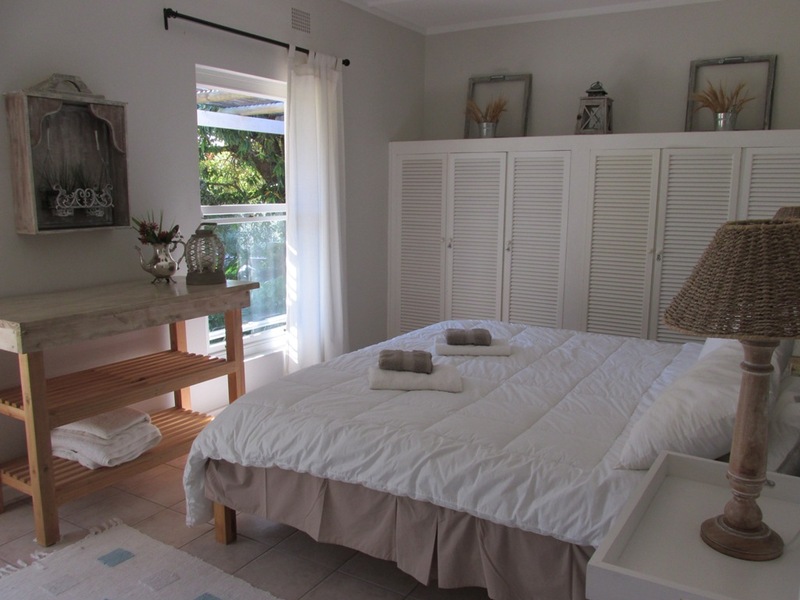 Outdoor laundry with washing machine. 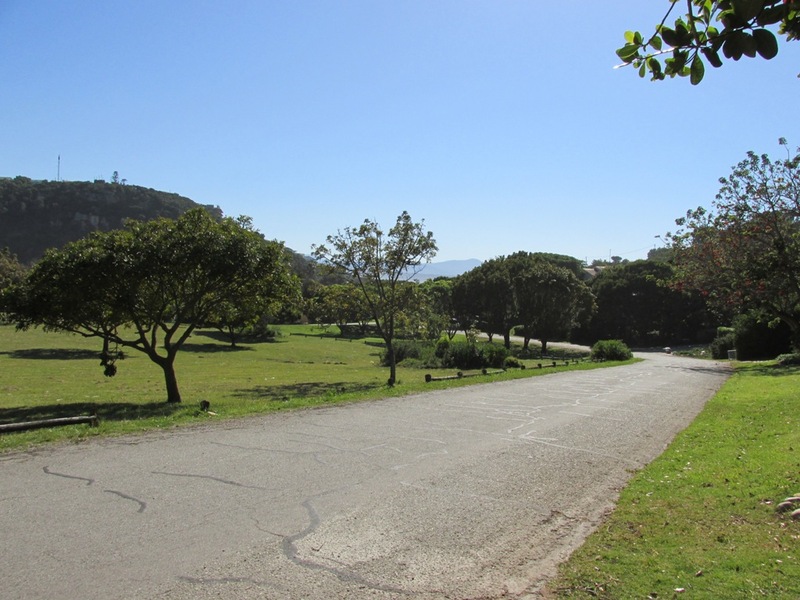 The garages are not available. There is one covered car-port for one vehicle and secure parking for a further 2-3 vehicles (uncovered). Property is fully enclosed and accessed with remote. 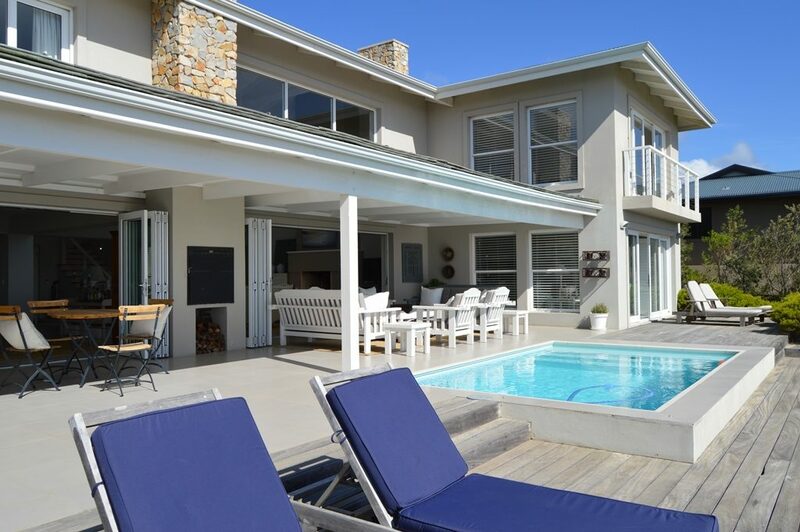 Property is equipped with an alarm system. There is one locked room off the kitchen (this is private and not for the accommodation).